When your infection has a burst of activity, or when there are signs that this is about to occur, it is very important that you contact us without delay to schedule a comprehensive evaluation. Dr. Angelo will be able to determine the treatment necessary to control your periodontal infection and set you on a path toward excellent oral health. 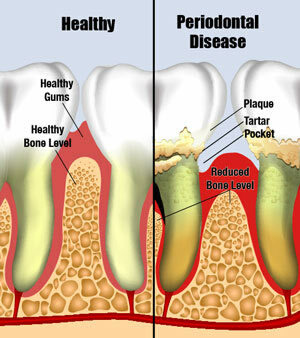 Important Note: Your gums can look and feel quite normal and yet deep pockets of periodontal infection can still be present. To be certain about any periodontal disease, have your periodontist examine you for signs of infection.